On this episode of The Music Room, WVUD had the opportunity to speak with Nate Chung and Casey Dawson, two out of the four members, from The Nate Chung Project. Throughout the interview, we were able to get perspective on what it’s like to be a full-time college student with an unpredictable schedule while still managing to record music for your band. The two were able to explain to us how they all came together and what’s next for the band following graduation. The Nate Chung Project, recorded on November 16, 2017. Aired on December 12 2017. 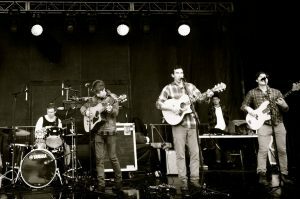 The Nate Chung Project is an acoustic rock band made up of four members: Nate Chung, Casey Dawson, Sean Horan, and Frank Dwyer. The band came together in the Spring of 2017 at The College of Holy Cross and has been recording music together ever since. Nate Chung, the main vocalist from the band, first started fooling around with music in middle school but began to take it more seriously in high school. While attending The College of Holy Cross in Worcester Massachusetts, the band has been preforming at many local establishments and college events. Recently, they recorded their first album and it’s now streaming on Spotify and iTunes and has received great feedback. “Be yourself, do your thing . 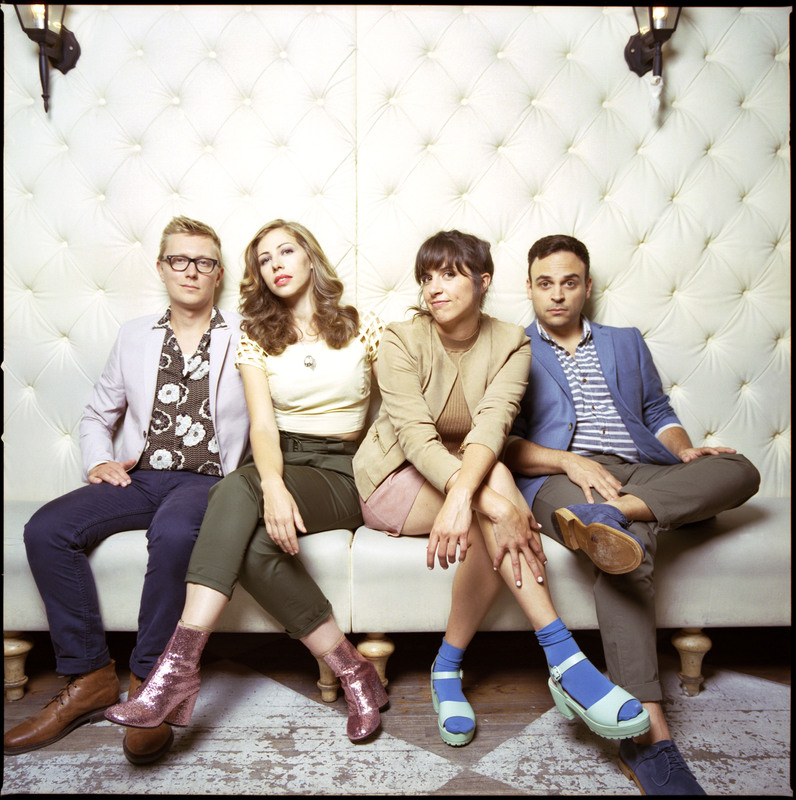 . . rock your side pony,” says Bridget Kearney, bassist of ’60s soul and pop rock revivalists Lake Street Dive, of the band’s 2016 release Side Pony. Side Pony, the band’s Nonesuch Record label debut, radiates playfulness and energy through its upbeat and glimmering soul-soaked tracks. Lake Street Dive expertly balances the retro with the contemporary on Side Pony by restoring and revitalizing ’60s Motown for a modern audience. On May 19, Liz Webb spoke with Bridget before the band’s stop at the World Cafe Live at the Queen in Wilmington on their Side Pony tour. While attending the New England Conservatory of Music in Boston, Rachael Price (vocals), Mike “McDuck” Olsen (trumpet, guitar), Bridget Kearney (upright bass), and Mike Calabrese (drums) formed Lake Street Dive in 2004, naming the band after a street housing multiple dive bars in Olsen’s hometown of Minneapolis. The band recorded their first CD in 2006, titled in this episode…. Ten years later, their fifth studio album Side Pony would reach No. 1 on Billboard’s Top Rock Albums, Folk Albums, and Alternative Albums charts. Sin ce gaining widespread recognition after performing a stripped-down cover of the Jackson 5’s “I Want You Back” on a sidewalk in Boston (which currently has over 4 million views on YouTube), Lake Street Dive has made appearances on shows like The Late Show with Stephen Colbert and The Today Show as well as NPR Music’s Tiny Desk series. This fall, the group is set to continue their tour on the East Coast, with notable stops at Philadelphia’s Union Transfer and New York’s Radio City Music Hall. While in The Music Room, Bridget spoke to Liz about the band’s songwriting process, her personal inspirations, and her experimentation with rhythm and sound on Side Pony. A skilled and innovative musician, Bridget contributes to the band’s unique sound with her intricate compositions and upright bass-playing. Listen to the interview below to hear tracks from Lake Street Dive’s newest album Side Pony and to learn more about the exceptionally talented Bridget Kearney. Bridget Kearney, Host: Liz Webb, Recorded May 19, 2016, originally aired May 24, 2016. Due to copyright restrictions, the podcast contains excerpts of the music heard during the broadcast of the interview.